Mushroom gravy is great on mashed potatoes, roasted vegetables, main dishes and side dishes. Over medium high heat in a medium size sauce pan, add 2 tablespoons of water. Add the mushrooms and onion. Cook for 10-15 minutes stirring every 2-3 minutes. Add all of the flour/cornstarch to a glass and, while slowly pouring in about half of the water or vegetable stock, stir vigorously with a fork until all of the flour is blended in. Set this aside until the mushrooms and onions are cooked. Add the flour mixture to the mushrooms and mix. Add the spices and tamari and bring to a boil. If the gravy is too thick, add some of the water to desired consistency. Serve over mashed potatoes, seitan, baked tofu, green beans, etc. Store any left-overs in an air tight container in the refrigerator for 3-5 days. 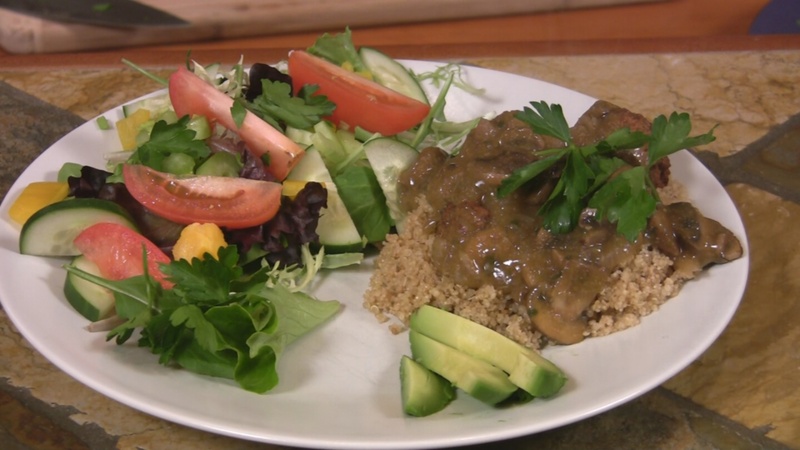 Use wheat-free tamari and cornstarch for gluten free gravy.